Poker is not really that difficult of a game when you really break it down. This is especially the case at the micro stakes which have some of the worst players in the world. So it is always a bit surprising to me why so many people have trouble beating even the very lowest limits online. By this I mean stakes like NL2, NL5 and NL10. By the time you graduate from these limits you should be able to build up a 1k bankroll. This is a huge and important milestone that allows you to comfortably move up to higher stakes and start making some real money in this game. I think the biggest reason why many people do not reach this level though is because of a few fundamental mistakes. They actually end up shooting themselves in the foot and sabotaging their own results in most cases. So in this article I am going to discuss 10 fatal mistakes that I frequently see people making at the micros and how to fix them. 5 or 10 years ago it used to be the exact opposite. Most people were way too passive. Now I regularly see people with stats at the lower limits that are frankly just way too aggressive. By this I mean a 3Bet% of 10 or more, CBet% of 60% or 70% on all postflop streets and so on. Here is a perfect example of a hand I played against this kind of overly aggressive player and how to completely OWN them. Basically what they have done is taken the totally true advice to "be aggressive" in poker overboard. Way, way overboard. Sure, this kind of maniacal aggression is going to give you a spectacular red line. But having great non-showdown winnings is NOT the key to success at these stakes. You can't run over a bunch of calling station regs and fun players. These players do not like to fold so your betting/raising range still needs to be for value a large amount of the time. If you find yourself trying to win every pot at these stakes then you are very likely hurting your results in a big way. 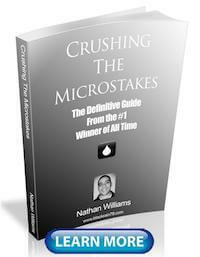 Patience and understanding when to give up is one of the biggest lessons to learn at the micros. Many people these days also get far too wrapped up in trying to outplay the other regs, especially the aggressive ones that give them the most trouble. This is a serious mistake because these are the players who are likely to be the most skilled. Therefore, even if you do manage to outplay them, your edge is going to be very small. Put more precisely, these aren't the players who you make the money off of in this game. The bad regs and the recreational players will be where the large majority of your profits come from. So don't be a play machine with the better regs. Yes, they can be annoying with their constant 3Bets etc. If they get on your direct left, just leave the table. There are so many other tables to choose from at these limits. Keep your focus squarely on the players who you have a huge edge against, the bad regs and the recs in particular. Don't waste your time fighting ego wars with the best players at the table. And speaking of good poker players this is probably one of the biggest reasons why many people fail to ever get their first 1k bankroll and move up. That is, they only play with the solid regs! They neglect table selection so much that they almost always play in the worst games available at these limits. This is an absolutely fatal blow to your poker win-rate. 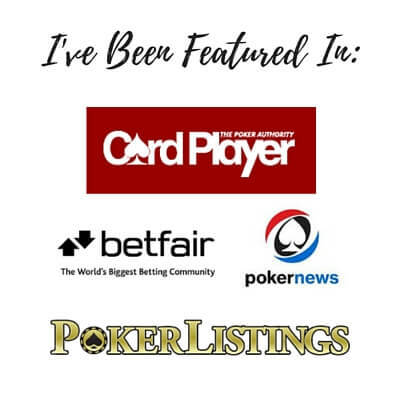 As I talk about all the time on this blog and elsewhere, game selection is arguably one of the most important keys to success in poker these days no matter what stakes that you play. This means playing at the right poker sites and the right tables. It also means getting the right seat against the fun players as well (on their left). Check out my comprehensive guide to game selection for much more on all of this. Tilt is another huge mistake that hurts countless micro limit poker players. What I mean by this is that they allow routine variance to affect them more than it should. This translates into poor play at the poker tables. They end up throwing away literally all of their profit by playing too many hands, making wild tilt inspired bluffs, and bad call downs every time the cards go sour on them. One of the biggest differences between high stakes poker players and low stakes poker players really just comes down to the ability to control their emotions better in the heat of the moment. Bad beats and coolers are going to happen in this game. And sometimes you will catch several in a row and this can even last for weeks or months sometimes. If tilt is a major problem for you, it is important to create strategies to control your emotions better at the poker tables and set clear rules for when to quit if you are running terrible. Missing value bets (especially on the river) is an absolutely huge mistake and can literally be the difference between a winning and a losing poker player. Like I mentioned before, many players at these stakes (even some regs) are calling stations. This means that they have a hard time folding anything. They are also often deeply suspicious that everyone is always bluffing them. So you should of course be ramming and jamming your big hands down their throats like I talk about at length in my first book, Crushing the Microstakes. Yes, you can even bet ace high for value on some boards against the fun players in particular and get paid off at these limits! If you have any kind of a hand on the end, before hitting that check button always ask yourself if there is any way that this person can call you. And maybe you only bet 30% of the pot. It doesn't have to be huge. In fact it should be small if you don't think that they have much of a hand. These little value bets can add up in a huge way! Don't pass them over like so many others do at these stakes. Poker is a game that is played between people. And no two poker tables are the same. Therefore, a different strategy is always required depending on who is seated there. This is why following some chart or cookie cutter strategy for what hands to play, when to bet, raise etc. can only take you so far in this game. As I will be discussing in much more detail in my forthcoming new book, you need to be creating custom ranges in all situations. Your preflop opening ranges are one of them. What I mean by this is that you need to check what types of players are left to act before choosing which hands to raise with. There is a different strategy required if it is good regs, bad regs or recs. Many people do not do this. So for instance they will steal way too much against the strong regs who in turn will simply 3Bet the crap out of them. This is a huge waste of money that could have been avoided by recognizing who is left to act and increasing their open raise standards instead. It is ok to play according to a set plan, charts etc. especially when you are first starting out in poker. It makes things much easier. But if you want to take your game to the next level then you need to make sure that you are making adjustments based on who is actually seated at the table. One of the primary ways that I used to grow my bankroll early on in my poker career was to take advantage of rakeback and deposit bonuses in particular. Most people know that the rake is notoriously high at the micros in relation to your table winnings. This means that you should make sure that you are shopping around for the best rakeback and bonus deals. Every site has a different system in place. 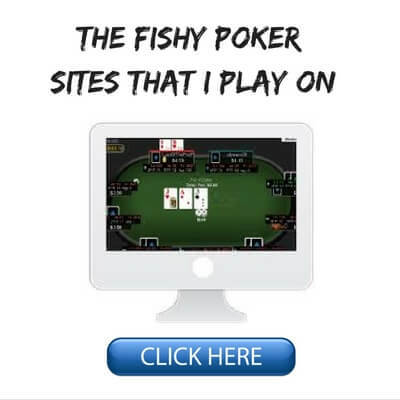 Some sites offer high rakeback but you have to play a lot in order to get the real rewards. This is why it is important to read the fine print. Bonuses can be even more helpful at these limits though. Many sites will offer first time deposit bonuses of $500, $1000 or even more. Once again though, it is very important to check the fine print. Find out exactly what you need to do in order to clear it. Calculate how much you plan to play and at what stakes and then you can figure out if it works for you. 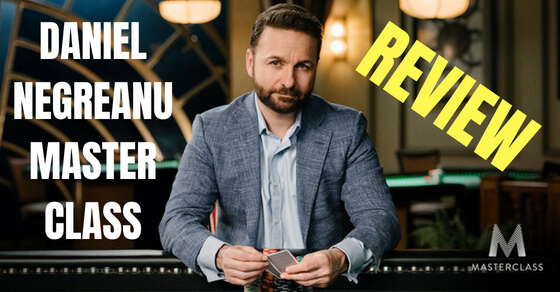 I have already made a list of not only some of the softest poker rooms on the internet but those which offer some of the best bonuses as well. You can find that here. If we are talking about pure poker strategy, then there is pretty much always one clear best play available in every situation. I call this the great play. Then there are a bunch of 2nd and 3rd best decisions available after this. The main difference between the biggest winners and everybody else is that they find (and make) the great play much more consistently. The idea is this. In key situations at the poker tables you should consider the effectiveness of every option, not just the first one that comes to your mind. Many newer players for instance will always re-raise preflop with a strong hand like QQ because they have the 3rd best hand in the game after all. But while this is often the mathematically correct play, it is not always the great play. And what this ultimately means is that it is not the most profitable play. Versus an opponent who folds to 3Bets way too much for instance, it is a better idea to just flat with a hand as strong as this. This is because there is much more long term expected value (EV) in seeing a flop versus a weaker hand than by just forcing them to fold preflop. When important hands arise, always consider all of your options. Sometimes the best play is not always the obvious one. 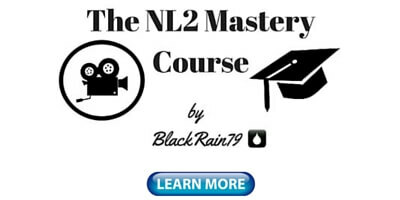 It is really vital that newer players in particular regularly review their poker sessions. Because how can you expect to learn from your mistakes if you don't even know what they are in the first place? The great thing about modern tracking programs like Pokertracker or Hold'em Manager is that you can review all your hands and also filter for the exact profitability of any situation as well. This means that you can drill down to a situation as specific as AK out of position facing a raise. You can then see if you are winning or losing in this spot. If you are losing, then you can review all hands in this spot and find ways to fix your leaks and improve. During the early stages of my poker career this is how I made most of my progress. Not only did I review my key hands after each session, but if I felt like I was having trouble in a particular spot, then I would filter for it and analyze it until I found the answer. The last mistake that micro stakes players make is cashing out too much. I know because I used to do this way too much myself! It really is pretty simple after all. How can you expect to grow your bankroll to one thousand dollars and beyond if you are taking out a couple hundred or more every few weeks? The answer is that unless you are some kind of phenom who crushes the games beyond belief, you can't. You will constantly remain at the lower limits until you stop withdrawing from your bankroll so much. This is why I always suggest separating your life bankroll from your poker bankroll. Unless you are a professional (which in most cases you shouldn't be at NL2, NL5 or NL10), then you should basically never touch your poker funds. Once you get established at higher limits, then you can begin taking out small amounts to reward yourself or pay bills. But as long as you are at one of the bottom three limits, it is by far the best policy to simply never touch your bankroll and just let it grow. 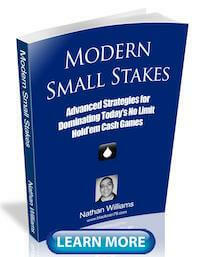 Moving up the micro stakes ladder and beyond is not a walk in the park in today's games. But it isn't impossibly difficult either. For most people though, they are actually their own worst enemies. That is, they continually make fundamental mistakes at the poker tables which prevent them from achieving the success which is easily within their grasp. Hopefully a few of the ideas in this article will help you plug some of these leaks, make your first 1k at the micros, and move beyond! 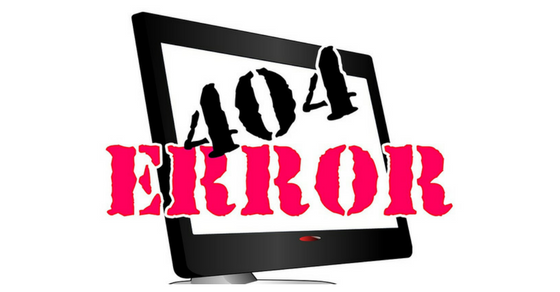 Let me know in the comments below what you think are the biggest mistakes that low limit poker players make. 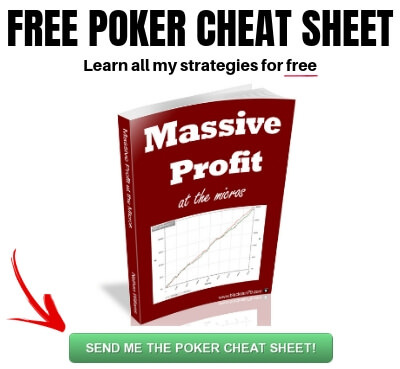 If you want to know the strategy that I used to create some of the highest winnings in online poker history at the micros, grab a copy of my free ebook. Sometimes you need to cash out for life expenses. No matter what. Your articles are always really good, this is one of your best. There wasn't one of the 10 points that I can't learn from to help me be a more profitable player. Especially number 10, I've been wanting to ask you about that. In the past I've generally played the double or nothing sits and go and used the winning to play MTTs. I've had some success (haven't had to make a deposit in 5 years). Your articles have had me playing and enjoying cash games. I've also been enjoying (and making a little $) on the 6 person SNG. The levels I'd like to play are NL25 (cash), 15$ (SNG), and up to $30 (MTTs). I can't play those levels at my current with my current bank roll because of to aggressive cash outs. Thanks again for timely advice. If you are in Vegas this summer for WSOP run well. I think that if you are using your winnings to play in other formats like MTTs, then that is fine. The point I was trying to get across was to keep your personal finances and your poker finances separate at least at the lower stakes. You can almost look at your poker bankroll like a long term investment. I fully agree with Todd, top notch as ever. Great article, once again. It comes at a great time for me as an advice as i am through my roughest period of my 8 year online career. I had already identified some of them before reading it. As i was reading, i was laughing cause it was like talking for me. Especially 1,4,6,7 are my bigger weaknesses. Keep well. Thanks Jason glad I could help and I hope your downswing turns around soon! Thanks for this interesting topic about the 1K milestone and excelling from these three limits. I agree, that avoiding overboard aggression, managing the different kinds of tilt and looking for "the great play", when opponent player type and position allows it, makes a difference at NL25 and above. It's not easy, but it's probably critical skills to develop. Thanks. Thanks Michael, glad this article was helpful. Hey Nathan, thank you for another great article. Do you think that game changed A lot since you published crushing microstakes book? Im learning from it now and im curious are strategies from there could work in todays games. 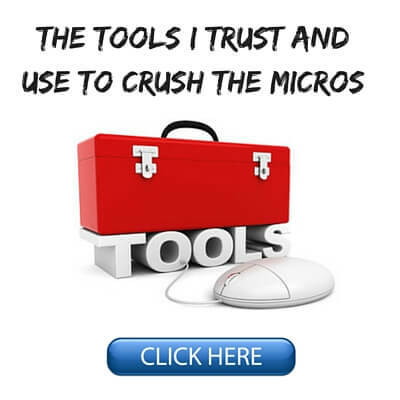 Yes the games have changed since Crushing the Microstakes was released. However, the change at these stakes in particular (NL2 and NL5) is very slow. Also, since I am one of the only poker authors out there that ONLY writes digital books (no print) this allows me to update the material anytime I want. So if you purchased the book recently, it is likely that I have made several changes to the text over the years to reflect changes that I have noticed in the games. table selection for me is an issue. I live in michigan and my br is on america's cardroom. not many tables to choose from especialy during the day. i play nl/2 and sometimes nl/5 where i had a good session this morning. i wish i had chosen another us player sight but at the time i felt acr was a good choice. Br is building though. Just tough to find soft players sometimes to really soar. I would choose another site then. There are plenty of more options for Americans such as Ignition and Bovada.